Sydney, AUSTRALIA 1 February, 2018 — Jamaica Blue is releasing a limited edition Costa Rica Single Origin this month, with its exquisitely smooth beans sourced from “the happiest place on earth” according to the Happy Planet Index. Costa Rica is famous for producing some of the finest coffee beans in the world, and topped the Happy Planet Index for the third time in 2017. 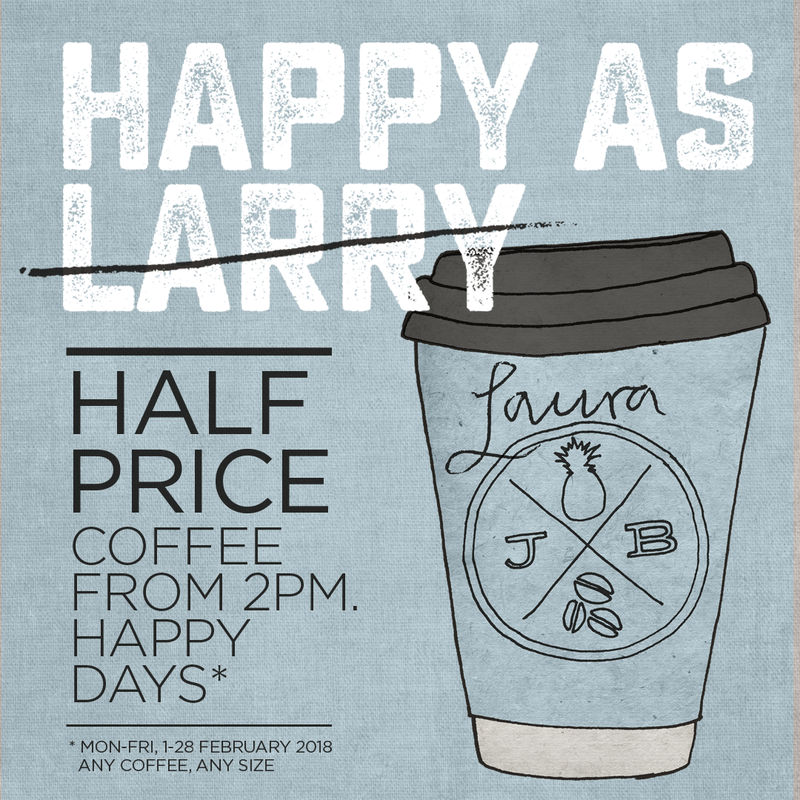 To celebrate its Costa Rica Single Origin release, Jamaica Blue is offering half price coffee to all customers from 2pm until close across its 125 national stores as part of their “Happy as Larry” promotion in February. Customers are invited to share their “Happy as Larry” moments via the brand’s popular Facebook and Instagram pages. The new Jamaica Blue Costa Rica Single Origin is exclusively sourced from one of the most famous coffee-growing regions in Costa Rica: the stunning mountain ranges of Coope Tarrazu. The region boasts environmentally sustainable practices and has implemented a Coffee Culture Quality of Life Sustainability plan. The Jamaica Blue Costa Rica Single Origin beans are Rainforest Alliance Certified. Head of Coffee at Jamaica Blue, Jeremy Regan, has travelled the world sourcing beans for Jamaica Blue for the last ten years. 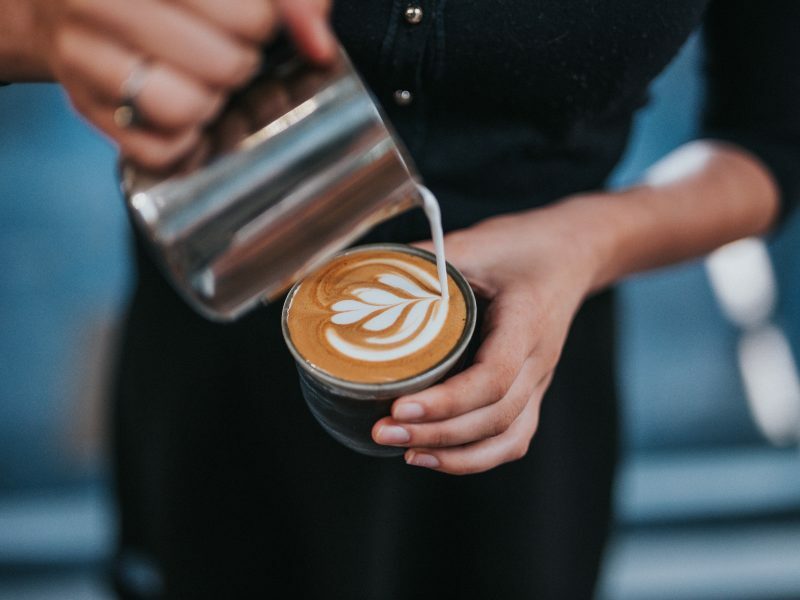 “I’m particularly fond of Central America’s coffee growing conditions: the mineral-rich soil, 1400-1500 metre high altitudes, mild climate and abundant sunlight produces exquisite coffee cherries that are uniformly ripe. The local Tico people are as happy as the coffee beans,” Mr Regan says with a smile. “This new Costa Rica Single Origin roast is like happiness in a cup. You’ll taste notes of caramel coated peanuts upfront, followed by a light smooth body with a lemon acidity coming in late. To top it off you’ll experience a long creamy chocolate finish; I’m very proud of it,” he says. Costa Rica topped the Happy Planet Index three times over the past seven years, including the most recently released 2017 report. The Happy Planet index measures a country’s bliss in relation to well-being, life expectancy and social equality data, divided by its ecological footprint. 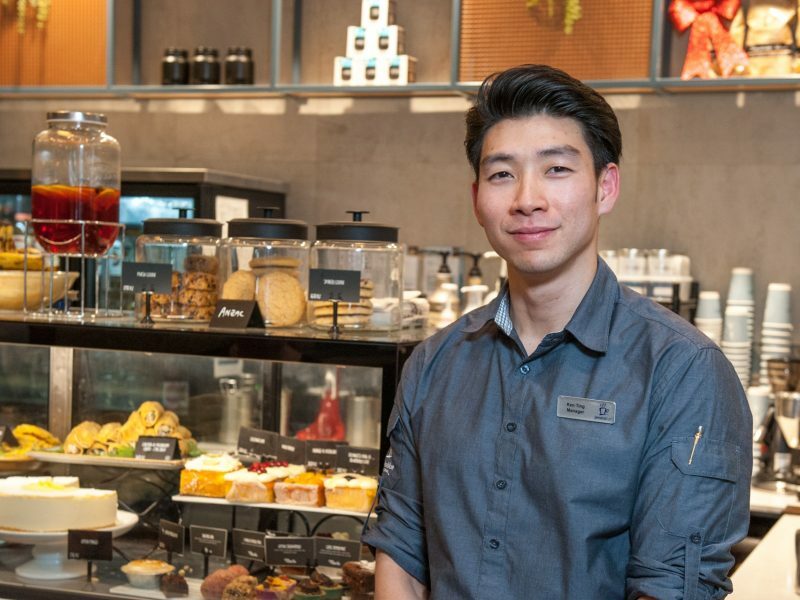 Jamaica Blue General Manager, Drew Eide, points out that connectedness, taking time-out and creating a welcoming environment are all values the happiest country on earth and Australia’s 25-year old much-loved coffee brand have in common. It was this commonality that inspired the “Happy as Larry” promotion running in Jamaica Blue stores throughout February. “It’s a phrase we used to hear bandied around in Australian culture when someone was in a good mood, that they were “Happy as Larry”. We thought about the joy it brought us serving this new coffee from the happiest place on earth, and got excited at the idea of making our own customers “Happy as Larry”. 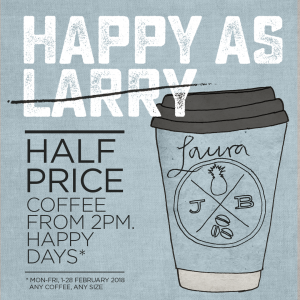 That was the origin of our “Happy as Larry” promotion which offers customers half price on all coffee from 2pm until close each weekday in February, and that’s on any coffee they love, not just our new Costa Rica Single Origin,” he says. “Jamaica Blue carries quality and happiness from crop to cup with this new Single Origin. 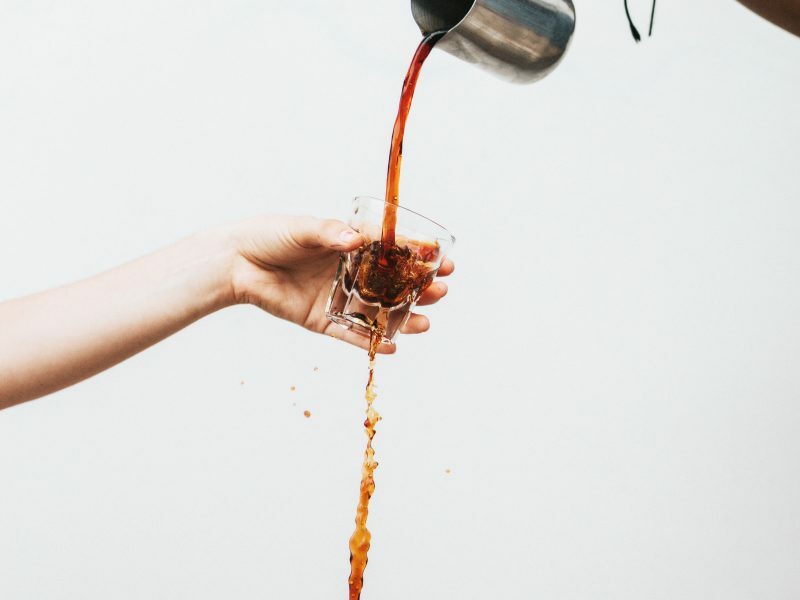 I can’t wait for our guests to experience it, and share their stories with us of how it piques their daily happiness,” Mr Eide says, alluding to the Jamaica Blue Facebook and Instagram communities that are expected to love posting about their “Happy as Larry” half price coffee moments. All Jamaica Blue baristas are now well trained and ready to serve the Single Origin Costa Rica “happiness in a cup”. Whole beans can also be purchased at any Jamaica Blue store in 250 gram vacuum-sealed packs. The “Happy as Larry” promotion runs from Thursday, 1 February 2018 at Jamaica Blue stores. Customers can buy any coffee for half price from 2pm until store close from Monday to Friday until Wednesday, 28 February. “Happy as Larry” moments can be shared to the Jamaica Blue Facebook and Instagram pages, any time, and don’t forget to use #jamaicanmehappy! 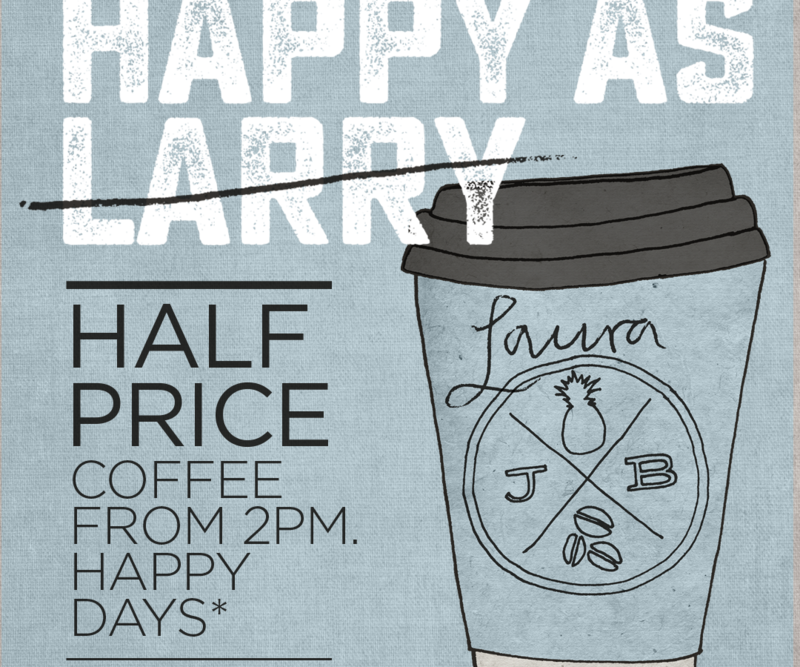 Happy as Larry Promotion – *Any coffee, any size includes all hot beverages, excludes iced drinks. Dine in or takeaway. From 2pm till close. Mon-Fri, 1-28 February 2018. Armadale, Baldivis, Blacktown, Bondi, Casuarina Square, Colonnades, Eastland, Entertainment Quarter, Fairfield Gardens, Fiona Stanley, Indooroopilly, Karratha, Mirrabooka, Mt Gravatt, Ocean Keys, Port Pirie, Riverton, Rockhampton, Rockingham City, Toowoomba Grand Central, Wagga Wagga. Mums & Bubs Promotion: Half price coffee for mum from 2pm, plus a free babycino for bub.